The College of Medicine joins the University as its 15th academic college, scheduled to admit thirty students in the inaugural class. These doctors will champion primary care and fulfill the most pressing health care needs. The college’s partnership with the HCA Houston Healthcare will provide residencies in Texas so our graduates can continue to work in the state’s urban and rural communities where lack of health care takes a heavy toll. While home to the Texas Medical Center, large swaths of Houston are measured as having high or moderately high levels of socioeconomic disadvantage, according to the Health of Houston Survey 2015. The majority of these areas also possess the highest levels of residents in fair or poor health. This mirrors rural and urban areas across much of Texas, where health disparities are similar to those found in developing nations. The College of Medicine builds on multiple existing health programs at the University of Houston. Rich with resources, data and public and private partnerships, the college will educate tomorrow’s physicians who are dedicated to fulfilling our state’s and nation’s most pressing needs, particularly in underserved communities. UH is putting the pieces in place — receiving academic authorizations, seeking legislative support and creating cutting-edge curriculum. The population of the greater Houston area has tripled since the last medical school was established in the city. Welcome! 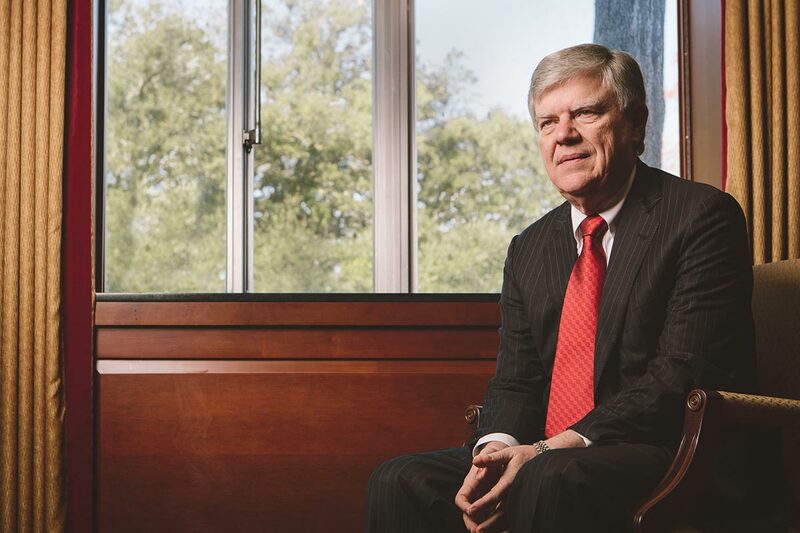 The College of Medicine grew out of the University of Houston’s desire to play a greater role in improving the overall health and health care resources of this city and this state. We intend to accomplish this bold undertaking by establishing a medical school that will produce a diverse group of graduates with a deep understanding of the social determinants of health and a commitment to providing compassionate, high value care to underserved populations. We are doing this because we can. And because we should. UH has long had strong programs in the biomedical sciences, Tier One research in the health-related fields and a proud tradition of clinical outreach to the community. We are drawing on those recognized strengths to take the next big step and develop a medical school that will help meet a clearly identified need for more and better primary care physicians in our state. Today, Texas has 71 per 100,000 people – which ranks us an alarming 47th out of 50 states. 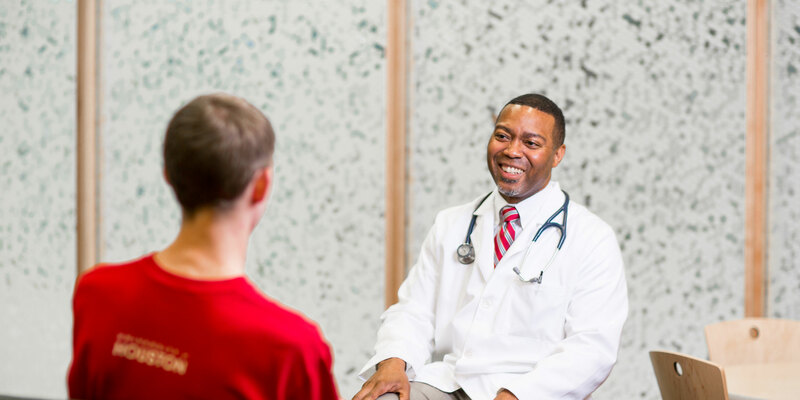 Our distinctive focus on preparing primary care doctors with a better understanding of community health disparities will differentiate us from all other medical schools in Texas and from most institutions across the United States. We are moving ahead with our ambitious plans cautiously but confidently. The UH System Board of Regents has endorsed our offering a doctoral degree in medicine, and we will soon be requesting similar approval from the Texas Higher Education Coordinating Board. We have initiated the development of our application for accreditation by the Liaison Committee on Medical Education (LCME). We have designated premium space in the University’s state of the art Health 2 Building to accommodate our operations for the first few years before moving into our permanent home. On this website, you will find a number of documents that offer important information about our mission, the advisory committees that are helping guide our efforts, and a detailed rationale for establishing the University of Houston Medical School. But what you won’t find neatly published on these web pages is the passion that has propelled this worthy enterprise. Many people have offered unflagging support to bring this dream of starting a medical school ever closer to completion. For that, our appreciation is immeasurable. We plan to enroll our first class after the LCME provides accreditation. What a great day that will be for UH, for Houston and for Texas. Educating a diverse group of physicians who will provide compassionate, high value (high quality at reasonable cost) care to patients, families and communities, with a focus on primary care and other needed physician specialties, such as psychiatry and general surgery. Conducting interdisciplinary research to find innovative solutions to problems in health and healthcare. Providing integrated, evidence-based, high value care delivered to patients by inter-professional teams. Engaging, collaborating with, and empowering patient populations and community partners to improve their health and healthcare. Health Matters is a radio series brought to you by the University of Houston College of Medicine empowering listeners to lead healthy lives. Host and founding dean Dr. Stephen Spann, along with doctors from the medical school, provide practical health care information to the community.